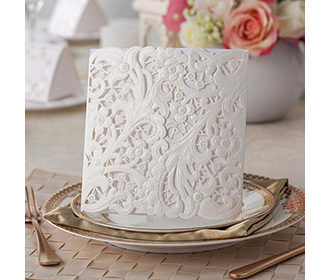 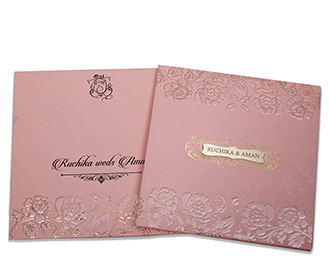 This is a beautiful designer wedding invitation with rose theme. 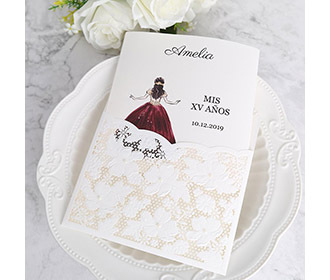 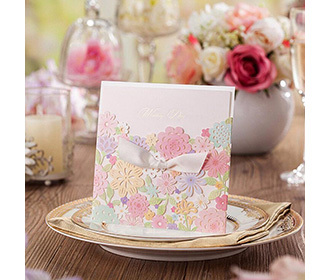 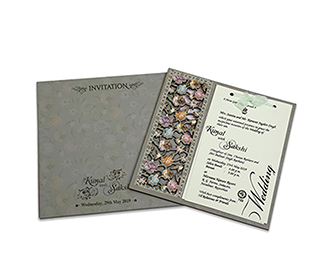 The subtle colours of this invitation makes it look elegant and stand out. 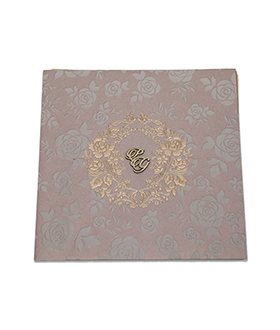 The envelope has a bunch of rose flowers embossed on the bottom right corner. 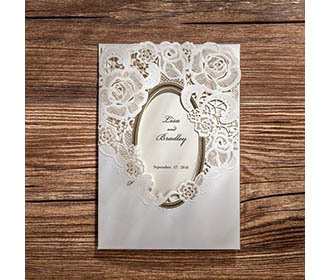 The front of the main card has a frame made our of rose flowers where name initials of the couple are pasted. 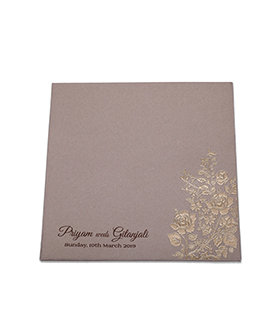 The rest of the space has raised rose flowers in cream colour. 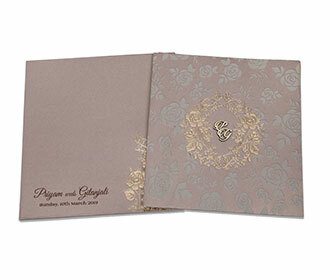 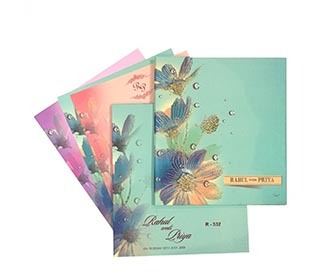 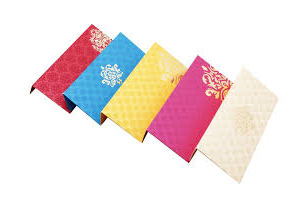 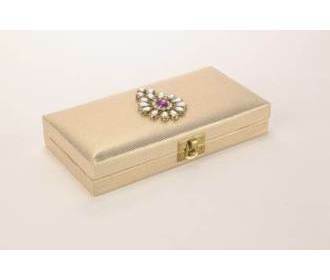 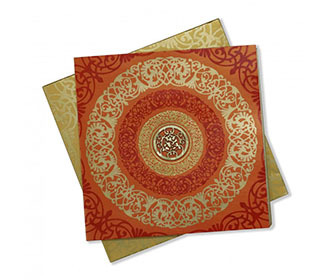 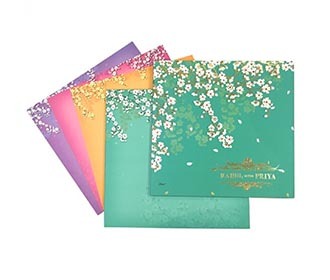 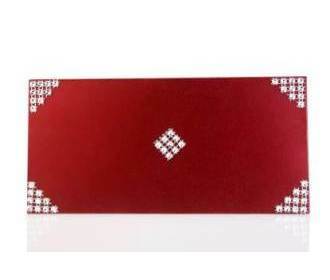 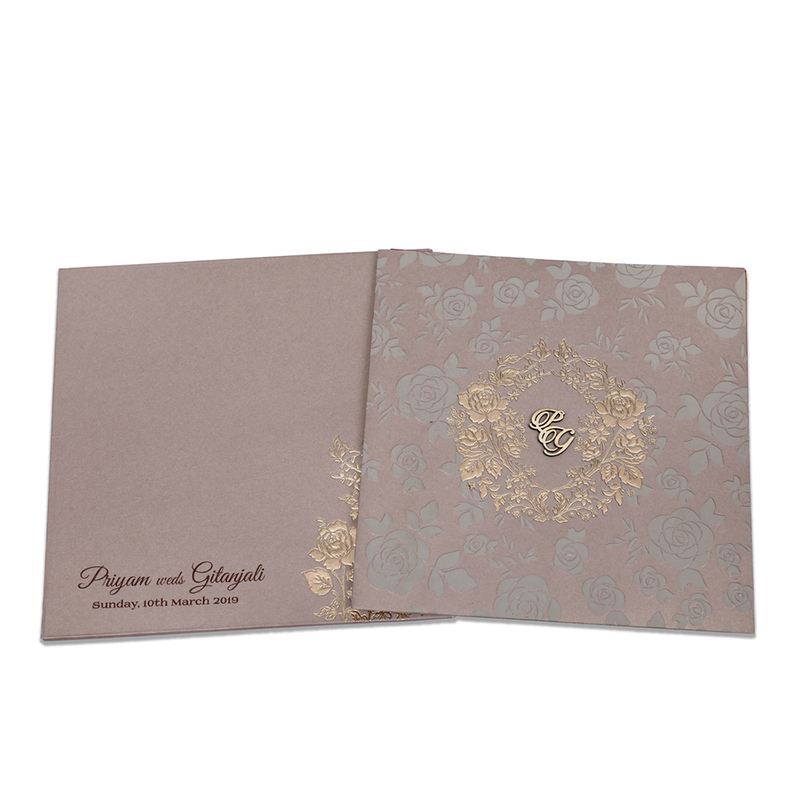 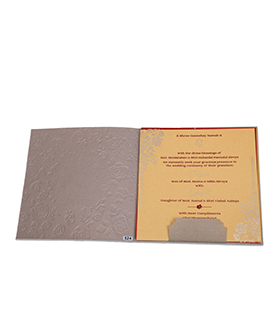 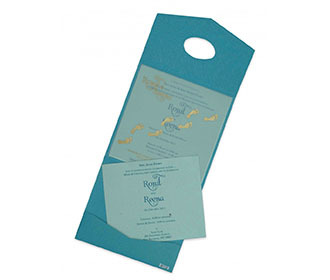 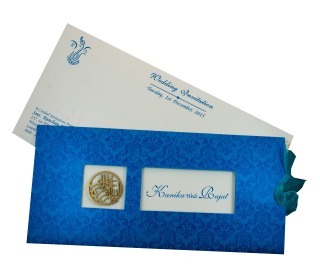 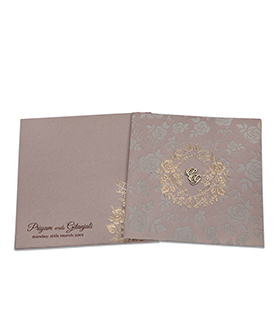 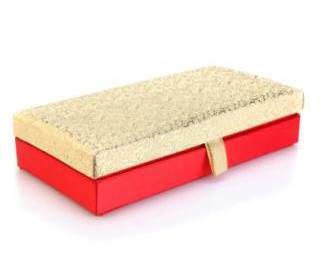 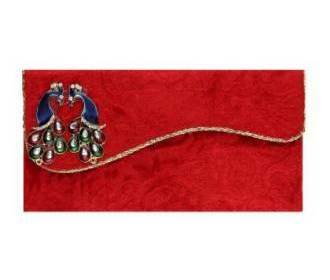 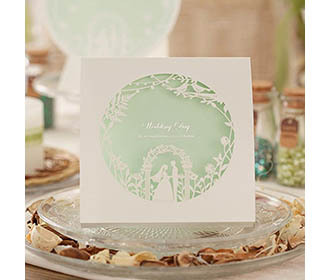 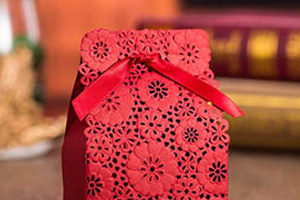 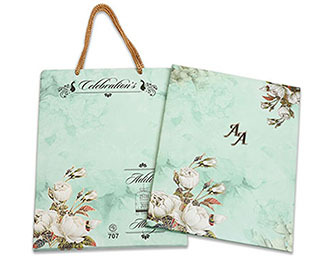 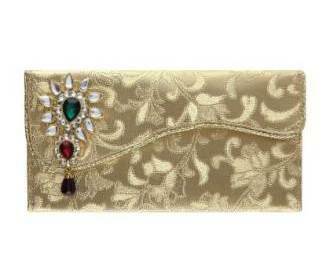 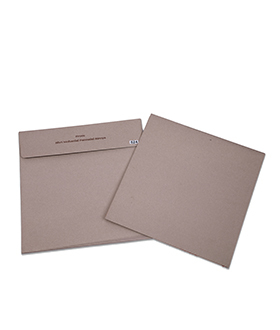 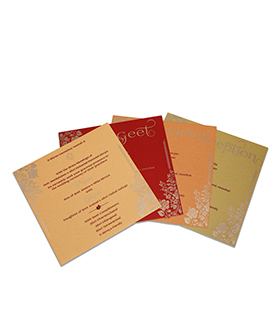 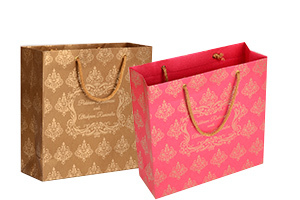 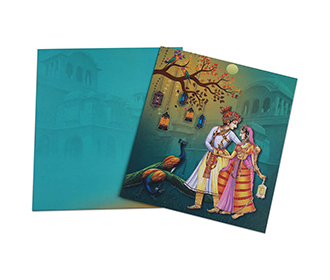 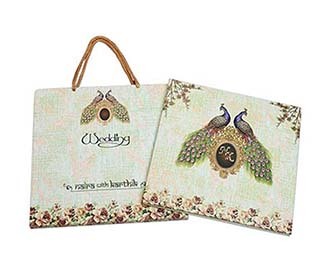 The invitation comes with two inserts with four colour options to choose from.